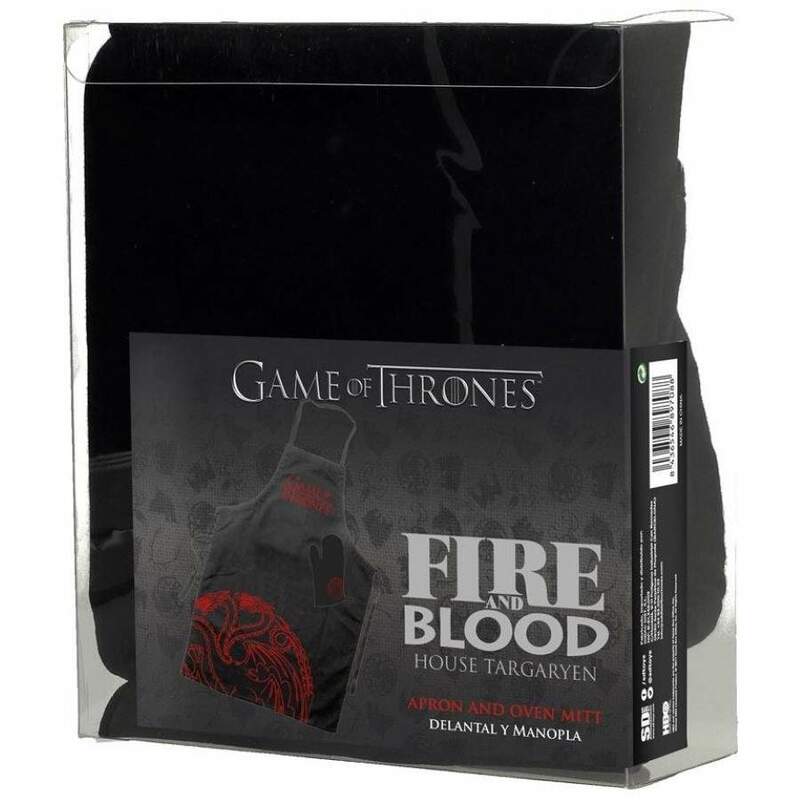 SD Toys Game of Thrones Targaryen apron and oven mitt in PVC box packaging. 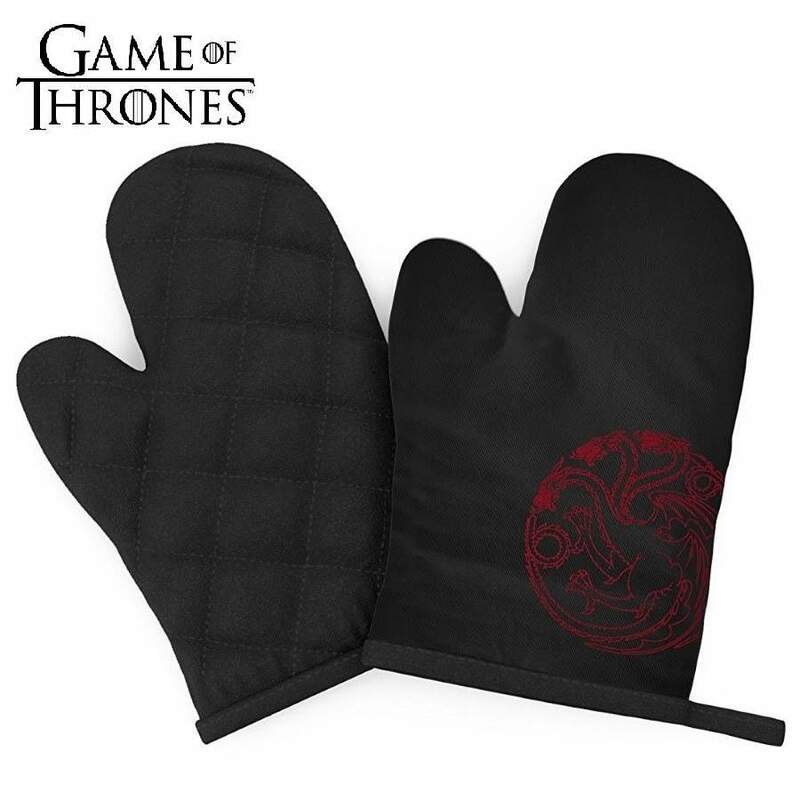 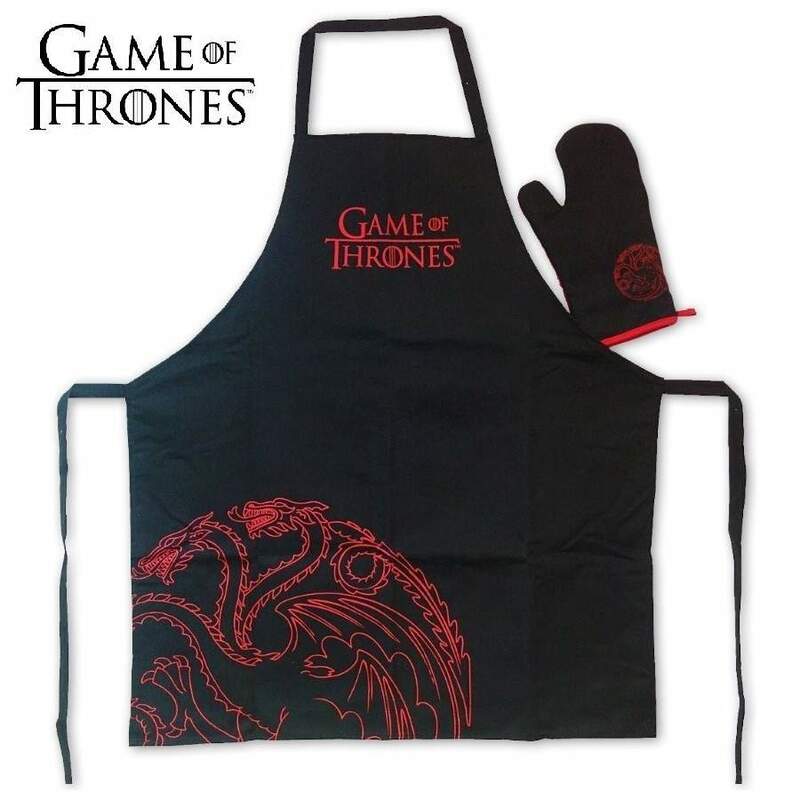 Game of Thrones Targaryen apron and oven mitt set. 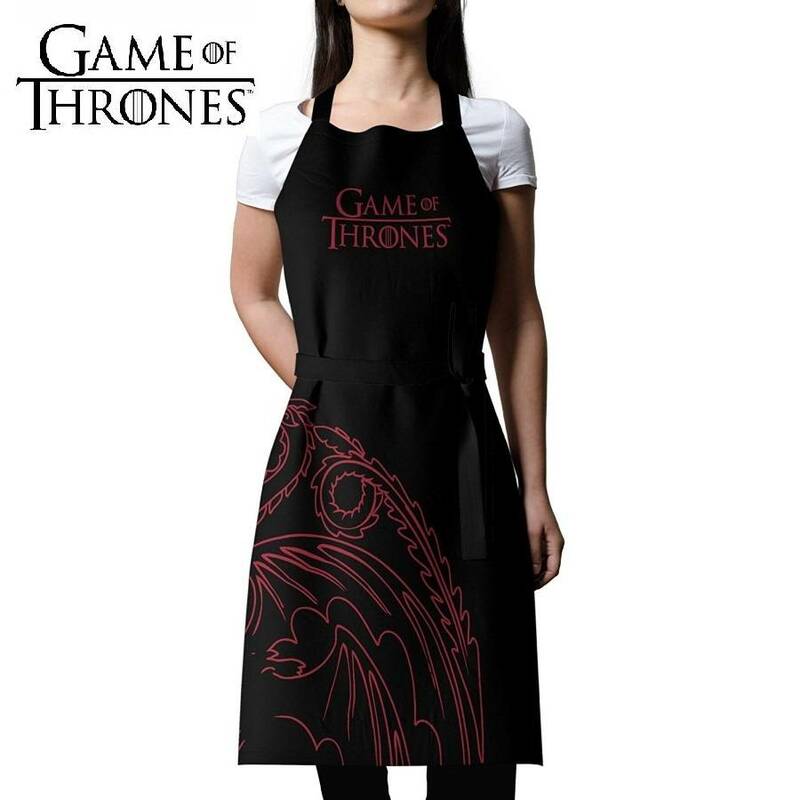 Cook in style with this unique set which comes in PVC box packaging.